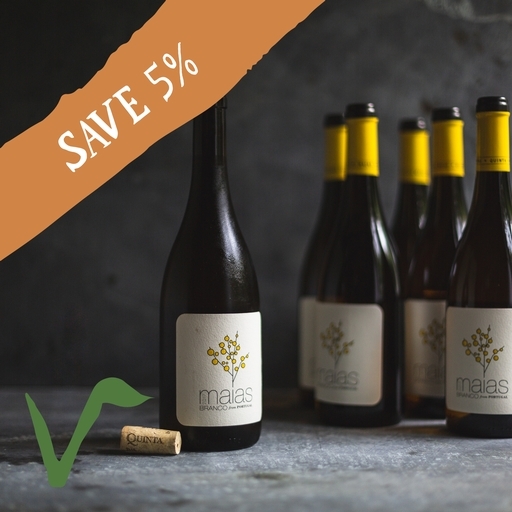 From a high-altitude vineyard in Dão, Portugal, this elegant blend of Malvasia Fina and Encruzado grapes is a revelation. Crisp and fresh with floral notes of lime and lemon, but with enough body to pair with fairly robust fish, vegetable and white meat dishes. Grape: Malvasia, Encruzado, Gouveio and Cerceal. Luis and Luisa Lourenco lead this family estate in the foothills of the Serra de Estrela mountain range, Portugal. First established in 1893, the name ‘Quinta Das Maias’ derives from the Portuguese word for the month of May, which is when striking yellow Weaver’s Broom flowers decorate the vineyards. Certified organic, Quinta das Maias is a haven for several lesser-known grape varieties - expertly watched over by the Lourencos, who also own the award-winning Quinta dos Roques estate.